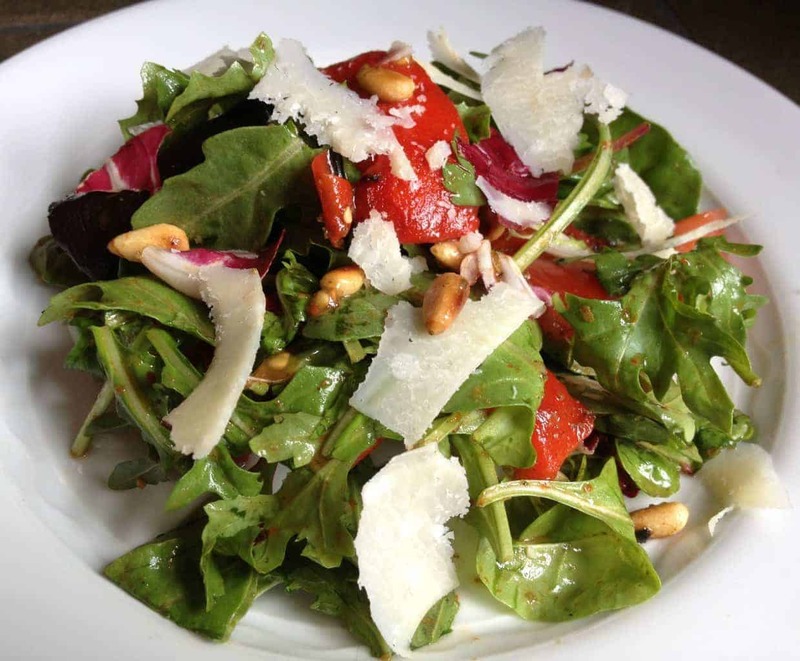 Summer is not the time for fat-laden salads. 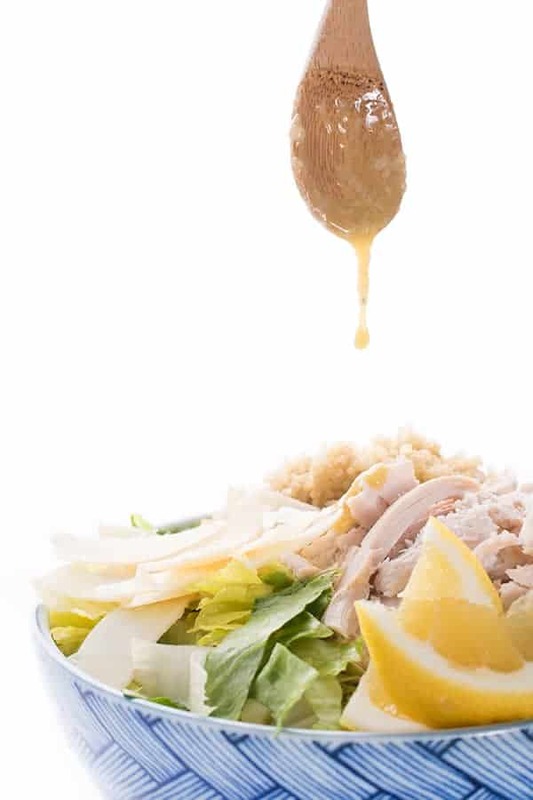 A typical Caesar salad clocks in at over 200 calories and is loaded in excess fat and sodium. My version is full of flavor and only has a little over 100 calories per serving. One of my secret weapons is anchovy paste that you can find in the Italian section of your grocery store near the tubes of tomato paste. Anchovy paste is a great way to add umami without adding too many calories. The best part? By purchasing it in the tube, you can use it in a variety of dishes that only call for a tablespoon or two. 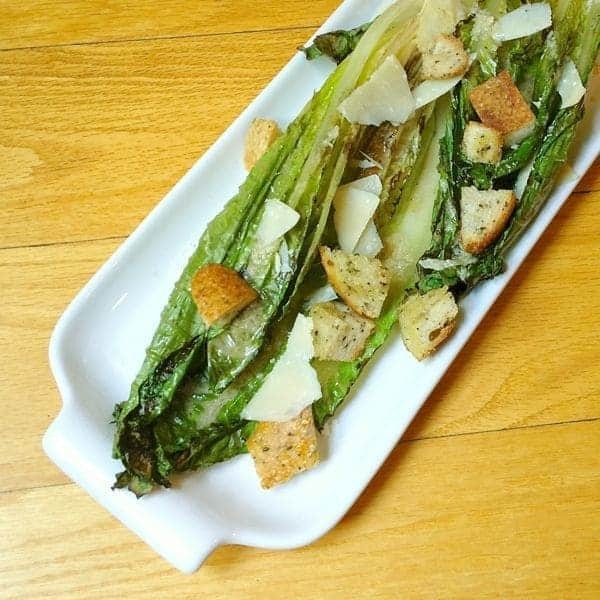 This Caesar salad is full of flavor and only has a little over 100 calories per serving. 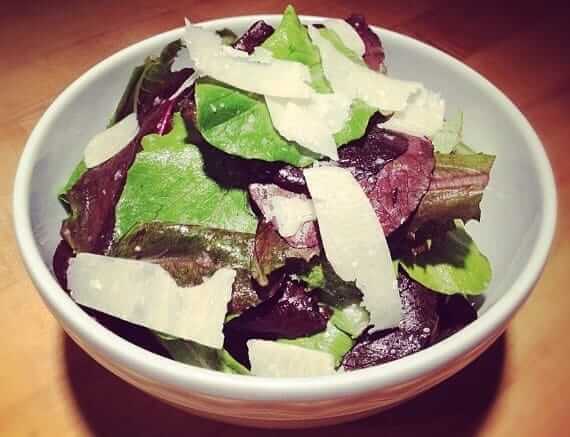 In the bottom of a salad bowl, whisk together parmigiano reggiano, garlic, lemon juice, anchovy paste and black pepper. Slowly drizzle in olive oil and continue whisking to create dressing. 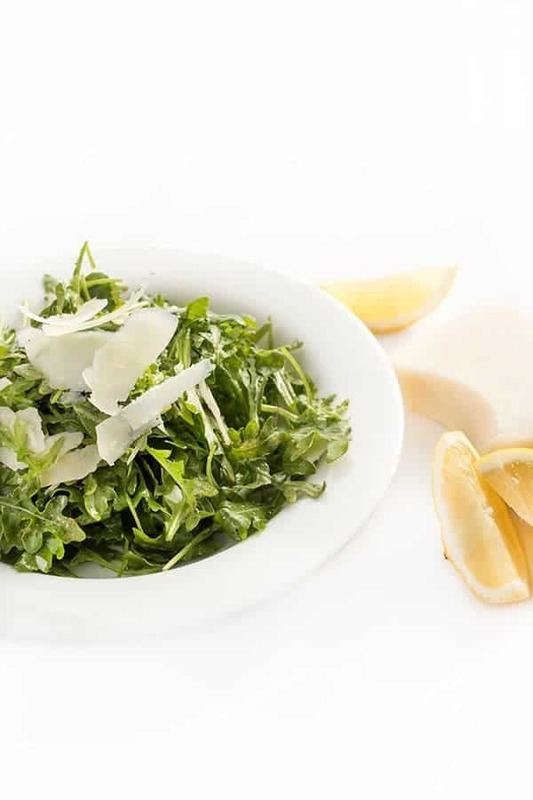 Add greens of choice and serve with extra shaved parmigiano reggiano. Thank you so much Barbara – please let me know how it turns out! !